More new cases of fungal meningitis have been confirmed at St. Joseph Mercy Ann Arbor. These cases are part of the multi-state outbreak of a rare form of fungal meningitis (Exserohilum) tied to a contaminated supply of epidural steroid injections, specifically methylprednisolone acetate from New England Compounding Center (NECC) based in Framingham, Mass. Southeast Michigan Surgical Hospital in Warren. St. Joseph Mercy staff began tracking meningitis symptoms among several patients, and have been working closely with the Michigan Department of Community Health to facilitate early identification and treatment for other suspected cases. 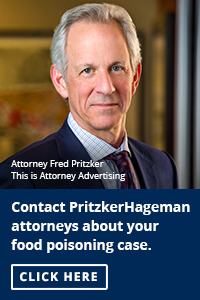 Attorney Fred Pritzker represents meningitis victims nationwide. He has offices at Plaza Seven, Suite 2950, 45 South Seventh Street, Minneapolis, MN.